There was little new building in Norwich during the period of population loss in the late 19th and early 20th centuries, and as a result there are few examples of Victorian, Arts and Crafts, Art Deco, or bungalow-style buildings in town. 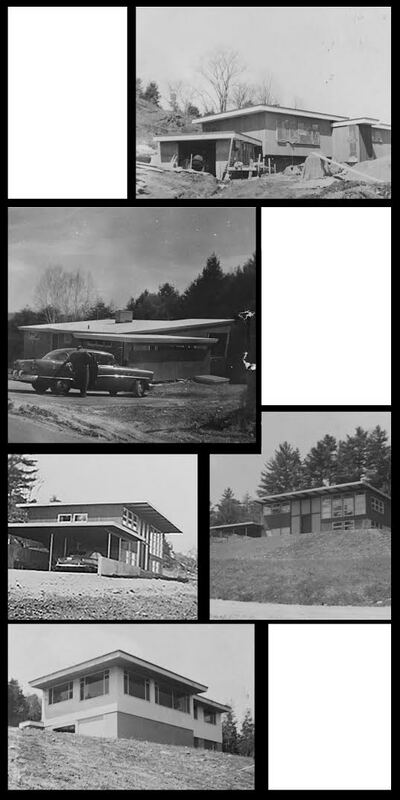 Between 1945 and 1974, however, low-slung homes of the style now known as Mid-Century Modern were built on the hillsides in Norwich. Often architect-designed, these homes featured the abundant windows and open interiors that were seen as solutions to the needs of modern, postwar American family life. The circle of architects, artists, scholars, and doctors who came to Norwich (and Dartmouth) during and after World War II had an influence on the community and its landscape, bringing an infusion of modernism and internationalism into an otherwise traditional setting. Their interest in new technologies and building materials have left a legacy for Norwich today.